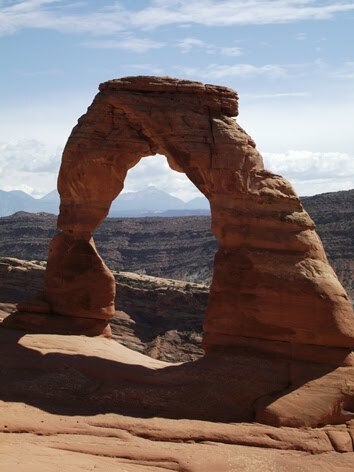 If not the best known arch in the world, Delicate Arch certainly qualifies as the most iconic rock formation in Arches National Park. 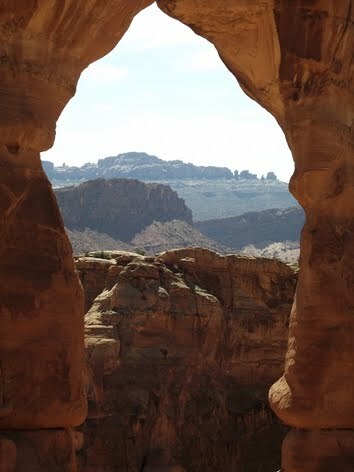 The hike to the arch begins from the Wolfe Ranch parking area, located in the east-central portion of the park. 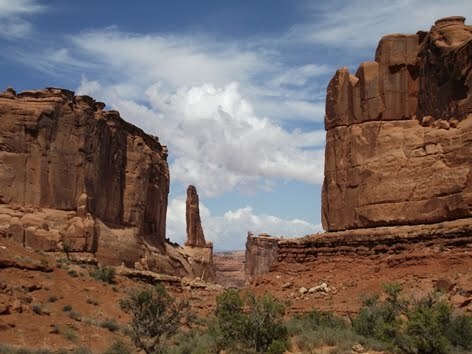 If you wish to go home with some great photos the park recommends hiking the trail in the late afternoon. However, summer afternoons are usually quite hot. You may want to consider hiking in the morning or in the evening when temperatures are a little cooler and the crowds are a little thinner. The first stop on the trail is the Wolfe Ranch. John Wesley Wolfe settled at this location in the late 1800s, and was joined by his family in 1906. Although the cabin they built on this 100+ acre homestead was a little rustic, it was still stocked with fine china ordered from the Sears Catalog. 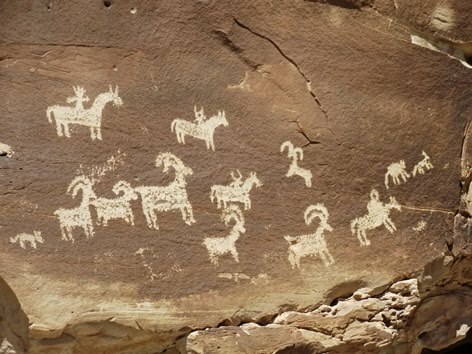 Beyond the cabin is a petroglyph panel depicting bighorn sheep and Ute hunters on horseback. It was carved sometime between 1650 and 1850. The side path leading to the petroglyph re-joins the main trail further up-trail, and can be taken on your return trip from the arch if you prefer. The first three-quarters of a mile are relatively flat as the trail passes through desert scrub, but then turns sharply up a steep, slickrock slope. Hikers should keep an eye out for rock cairns to help guide the way for most of the remainder of the route (or just follow the crowds - see photo below!). After climbing for roughly a half-mile the trail levels out. 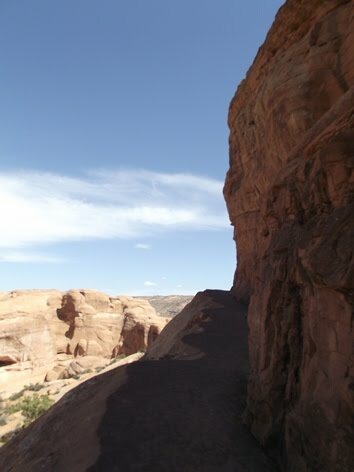 However, just before reaching Delicate Arch, the path traverses a rock ledge for about 200 yards while passing over a fairly steep drop-off. 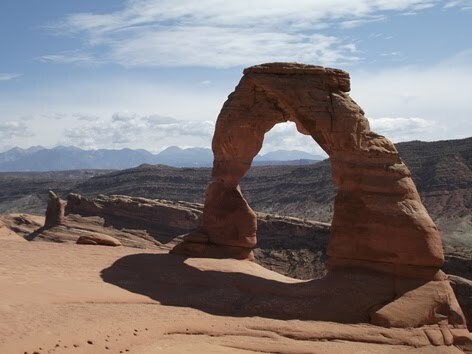 Delicate Arch stands 65-feet high, and has an opening roughly 46 feet in height and a width of nearly 32 feet. In the background, roughly 35 miles away, are the La Sal Mountains. With virtually no shade along the way, this can be a very hot hike. You should take at least 1 quart of water per person. Best Easy Day Hikes Canyonlands and Arches National Parks: this fully updated and revised edition includes trail descriptions and maps of the best short hikes that venture into some of the most scenic sections of Canyonlands and Arches National Parks. Paul Lewis from the University of Tennessee and the Big South Fork astronomy volunteers will be at Big South Fork National River and Recreation Area on Saturday, October 6, 2012, for two special programs. A telescope with a sun filter will be positioned in front of the Bandy Creek Visitor Center from 3:00 p.m. to 4:00 p.m. to allow for solar viewing. The use of special telescope filters will allow safe viewing of the sun. The sun should never be viewed without proper sun filters or permanent damage to the eyes may occur. The cooler nights and clear skies of autumn make it a perfect time to observe the stars, planets, and deep space objects. On Saturday night at 8:30 p.m. (Eastern Time), Paul Lewis will describe which objects to look for in the night sky of October. This program will be held in the parking lot across from the Bandy Creek Visitor Center. Telescopes will be available for night sky observation after the presentation. You may want to bring a blanket or chair for comfortable seating. There is no charge to attend these programs. In the event of rain or inclement weather, the evening program will be moved indoors to the Interpretation and Education Building next to the Bandy Creek Visitor Center, and night sky observation with the telescopes will be cancelled. For additional information or questions, please call the Bandy Creek Visitor Center at (423) 286-7275. For additional information about the park, call (423) 286-7275. US Forest Service officials at the Cherokee National Forest say a four year effort with The Conservation Fund to protect the Rocky Fork property is complete with the recent purchase of nearly 1,200 acres of the tract. Click here for map. For years a broad-based coalition of local, state and federal leaders worked together to save Rocky Fork. They did this because of the property’s natural resources, economic values and importance to the Appalachian National Scenic Trail. In December 2008 The Conservation Fund purchased 7,476 acres of the nearly 10,000 acre tract, while the Forest Service acquired another 2,237 acres. Since that time the Forest Service has acquired a total of 7,677 acres with more than $30 million from the Land and Water Conservation Fund (LWCF), a federal land protection program that receives funds from the development of federally-owned offshore oil and gas resources. $5 million of those LWCF funds was appropriated by Congress in Fiscal Year 2012 for this final acquisition, and a grant from the National Fish and Wildlife Foundation, through Walmart’s 2012 Acres for America program, also enabled the completion of this phase. The remaining 2,036 acres are protected with previous state and private funds and will be held by The Conservation Fund. The total cost of the Rocky Fork property was $40 million. 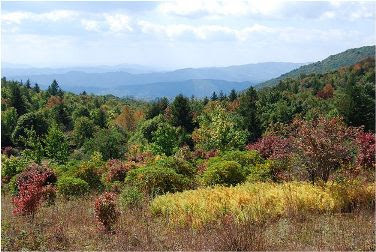 The Rocky Fork property is located along the Tennessee-North Carolina border in Unicoi and Greene counties. Rocky Fork, named after the cool waters of the creek that runs down its center, lies within Cherokee National Forest and abuts Pisgah National Forest in North Carolina, creating a vast unfragmented haven for wildlife and protecting water quality for neighboring communities. Rocky Fork’s many resources provide a range of unique recreational opportunities – hiking the popular Appalachian Trail; camping in a secluded mountain area; fishing the more than 16 miles of pristine blue-ribbon trout streams; and hunting game animals such as turkey, deer and grouse. These recreational activities have been attracting visitors from across the country for generations, bringing revenue to the local economy. “Tennesseans are enthusiastic protectors of the great outdoors, and I am pleased that the efforts at Rocky Fork will preserve this remarkable place for future generations,” said Senator Lamar Alexander. September is a unique month in the park that starts with the last days of summer and ends with the first signs of fall. 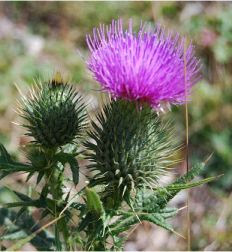 The month of September is a good time to view summer wildflowers, brook trout spawning, and the first signs of fall color in the higher elevations. 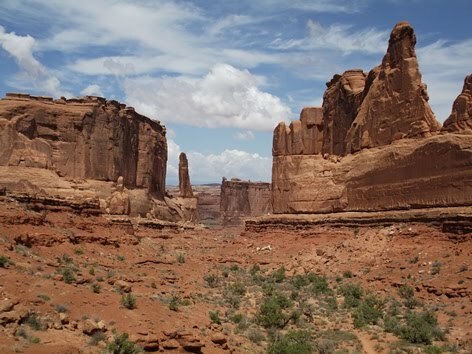 Earlier in the week I mentioned that I had just returned from a three-week tour of the southwest. 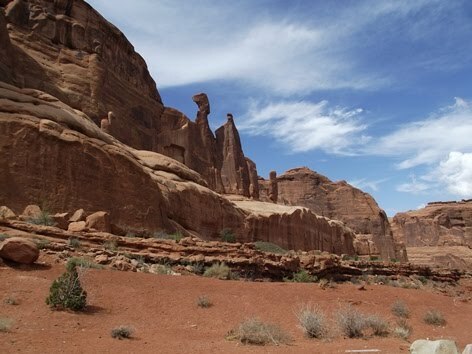 After spending more than a week in Rocky Mountain National Park, Kathy and I paid a visit to Arches National Park near Moab, Utah. It was Kathy’s first venture into this park, and my second. One of the first stops along the main road in the park is the Park Avenue Trail. Although the overlook at this stop may appear to be a little touristy, you really shouldn’t pass this hike up, even if you’re only spending a couple of hours in the park. The trail travels one mile through an incredibly beautiful red rock canyon, and can be done as a one-way hike if you have another car parked at the Courthouse Towers parking area. From the Park Avenue overlook the trail drops roughly 320 feet onto the canyon floor, and continues down a dry wash bed towards the Courthouse Towers. 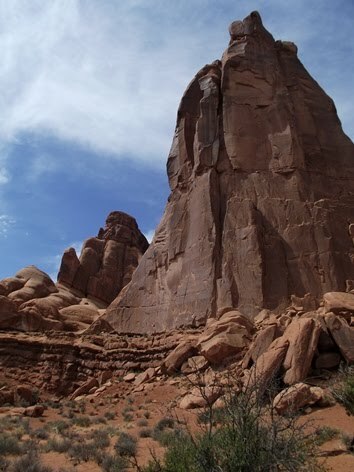 Along the way you’ll have commanding views of massive fins (vertical slabs of rock), balanced rocks and lofty monoliths, including the Three Gossips, The Tower of Babel, and the Courthouse Towers. If you wish to go home with some great photos the park recommends hiking this trail in the morning or late in the afternoon. Join the Great Smoky Mountain Association and Park Ranger Carey Jones for a hike to Rhododendron Creek on October 27th. There are multiple waterfalls on this walk, so be prepared to do at least one serious creek crossing, depending on recent rainfall. A hiking stick will be an asset on this one. Carey considers this a "Naturalist Ramble" and will address the flora, fauna, and natural history of the Great Smoky Mountains National Park along the way. 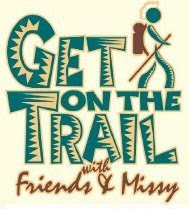 If interested, meet at the Greenbrier Ranger Station no later than 9 a.m. on Saturday, October 27, and carpool to this increasingly popular hike. Bring a lunch (snacks), water, rain gear, sturdy hiking boots, and a camera. Return time will be approximately 1 p.m.
Don't wait for a reminder e-mail, as the limit is 25 participants. The fee is $5 for GSMA Members in good standing, and $10 for non-members. Children 10 and under are free. Call 865-436-7318, Ext. 222 or 254 to register. The Appalachian Trail Conservancy’s (ATC) Rocky Top Trail Crew is looking for volunteers to help reconstruct a remote section of the Appalachian Trail (A.T.) in Great Smoky Mountains National Park from September 30th to October 7th. The ATC will cover all work related expenses such as food, gear, and safety equipment. The crew will spend 8 days living in the backcountry building steps, turnpike and trail structures to protect and harden the A.T. The work is of vital importance to protect one of the most damaged sections of the Trail. Paid crew leaders will work alongside volunteers and teach them the latest techniques in trail construction. Partners from the Backcountry Horsemen of America will also provide assistance to the crew by packing up food and tools for a week of hard work. 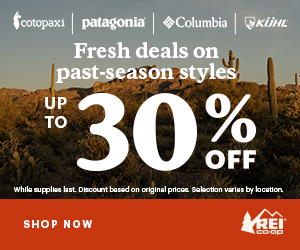 The Rocky Top Crew is supported by the Smoky Mountains Hiking Club, the National Park Service, the ATC, Mountain Khakis and the North Carolina Recreation Trails Program grant. The 70 miles of the A.T. through Great Smoky Mountains National Park crosses the Trail's highest point and traverses the most diverse ecosystem and the largest roadless area along the Trail. Half of the A.T. in the Park is open to horse use, and the crew's current work involves reconstructing those sections where horses and hikers share the Trail. For more information or to register, contact Andrew Downs at 828.254.3708 or click here. Virtual Blue Ridge is reporting that the Blue Ridge Parkway plans to install a traffic light to direct one-way traffic at mile marker 358 between Craggy Gardens and Mt. Mitchell State Park. The traffic light will operate 24 hours a day, 7 days a week, from September 24 until November 1, 2012. After November 1st, 6.5 miles of the Parkway will be closed to traffic. The resulting detour will direct traffic from Asheville along U.S. Route 40 to U.S. Route 221 and State Route 226. Buses and recreational vehicles will be encouraged to travel on U.S. Route 221 to the Parkway. This section of Parkway will be closed to all visitors until April 2013 to ensure public safety. Closure gates will be installed at mile marker 355.3, just south of N.C. Route 128 to Mt. Mitchell State Park, and at mile marker 359.8, just north of the Balsam Gap Parking Area. Mt. Mitchell State Park will remain open and accessible from the northern approach along the Blue Ridge Parkway via State Route 80. Parkway management apologizes for any inconvenience to our visitors and cautions the public to be aware of the installation of traffic lights and closure gates as the project proceeds to completion of this very important public safety project. I’m back! 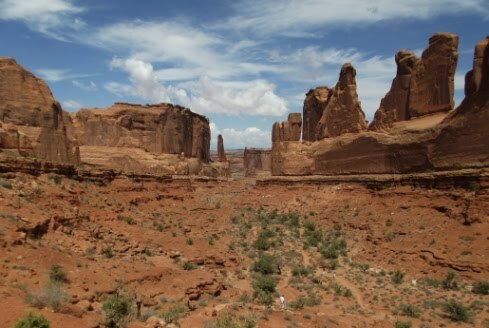 I just returned from a three week tour of the southwest. Along the way Kathy and I visited 5 national parks, 3 national monuments, climbed 2 peaks above 12,600 feet, summited another state high point, all while knocking out a couple of bucket list items. We were able to achieve all of our objectives, with the exception of climbing Mt. Bierstadt in Colorado. This was the second time our attempt on this mountain was thwarted before taking even one step on the trail. In 2009 we had to cancel this portion of the trip because the Colorado DOT closed Gaunella Pass for road reconstruction. This year, rain put the kabbash on our plans. I know this may be complete heresy, but I thought Zion National Park was far more scenic than the Grand Canyon. Some of you may even want to burn me at the stake when I say that the Grand Canyon would barely make my list of top 10 national parks, even though it’s the 2nd most visited park in the system. On a positive note, I have to give a shout out to the state of Arizona. The people in the “Grand Canyon State” were extremely friendly, especially in Flagstaff. From cheerful, helpful attitudes, to providing samples of local flavors, Arizona truly gave us the red carpet treatment. In Sedona the bartender at the Oak Creek Brewing Company gave us samples, without asking, of some very exotic beers, such as a banana and clove beer, a Belgian Abby Ale/Oktoberfest, and a dessert beer made with vanilla and mandarin orange – one of the smoothest tasting beers I’ve ever had. In Flagstaff, the 1899 Bar and Grill allowed us to taste a locally made pumpkin spiced porter, as well as a local vodka made with green chiles. While visiting the Flagstaff Farmers Market I inquired about fresh roasted Hatch (New Mexico) chiles. Although he couldn’t sell me a small batch, the owner simply gave me two homemade canned jars of roasted green chiles, a product they just began selling this year. Anyway, we did a heck of a lot of hiking throughout Colorado, Utah and Arizona during the trip. Over the next couple of weeks I’ll be posting hike reports and photos from all of our adventures. A group called the Southern Forest Watch has recently sent a letter notifying officials at the National Park Service that it intends to file a lawsuit challenging the $4 per-person, per-night, backcountry camping fee approved last March. The letter, sent by Knoxville attorney J. Myers Morton, was mailed to Dale Ditmanson, Great Smoky Mountains National Park superintendent; Ken Salazar, secretary of the U.S. Department of the Interior; Jon Jarvis, director of the National Park Service; as well as Congressional Representatives and Senators from Tennessee and North Carolina. A proposal for a new backcountry fee system was announced in July of 2011, and immediately created a firestorm of controversy and debate within the backpacking community. The Southern Forest Watch group argues that the backcountry camping fee is illegal under several federal statutes, including the Federal Lands Recreation Enhancement Act and the Administrative Procedures Act, and intends to file the lawsuit after the fee goes into effect in early 2013. What are your thoughts? Is this a relevant lawsuit, or a waste of taxpayer dollars? Big South Fork National River and Recreation Area will be celebrating National Public Lands Day on Saturday, September 29th by authorizing one night of free camping at Alum Ford Campground and free backcountry camping permits. National Public Lands Day is the nation's largest, single-day volunteer event in which eight federal agencies as well as other groups partner together to maintain and protect the environment. The Big South Fork will be organizing a number of volunteer trail improvement projects on September 29. If you would like to participate, call Wallace Linder at (423) 569-9778 or find more information at www.publiclandsday.org. 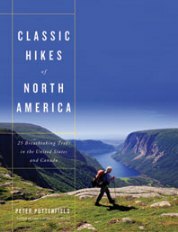 Classic Hikes of North America, the latest release from Peter Potterfield, offers hikers of all abilities details on "25 Breathtaking Treks in the United States and Canada". Illustrated with more than 150 color photographs, Classic Hikes of North America covers a diverse range of hikes: from routes in the White Mountains of New Hampshire to the Grand Canyon; from the Sierra Mountains to the Black Hills, as well as Big Bend, North Cascades National Park, the Art Loeb Trail in North Carolina, the Slate Range in the Canadian Rockies, the Long Range Traverse of Newfoundland, and more than a dozen other classics. Peter Potterfield, an experienced hiker and photographer, has hiked more than 10,000 miles on six continents, including the trek to Mount Everest, a retrace of Ernest Schackleton's route in Antarctica, the wilds of Arctic Sweden and the rugged coasts of Tasmania. Potterfield now brings his expert advice back home in Classic Hikes of North America, a beautifully photographed and eminently practical guide of the best backcountry treks in the United States and Canada. 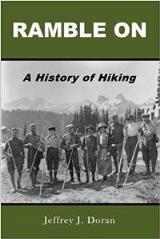 The author has photographed, analyzed, and graded these spectacular wilderness experiences with both beginners and avid hikers in mind, and puts them within reach for any aspiring hiker. For more information on this wonderful book, please click here. NPS Digest is reporting that on the morning of Tuesday, September 18th, a tractor-trailer rig traveling eastbound on New Mexico State Highway 4 in Bandelier National Monument missed a sharp curve, went off the road, and plunged roughly 200 feet down a steep slope into the park. The truck was carrying about 2200 gallons of highway striping paint that spilled and spread over nearly an acre of park land. The truck’s gas tank also leaked diesel fuel as well. The driver survived the accident. Park staff are working to determine the toxicity of the paint and assessing its impacts to the environment. The paint spill is visible from roads and hiking trails in and around the monument. By the day following the accident, the paint had congealed, allowing workers to remove the clumps by hand and revealing minimal subsurface damage. The Los Alamos Laboratory hazardous materials team minimized the spread of the diesel fuel. Bandelier is working with the Los Alamos National Laboratory, the New Mexico State Police, the Los Alamos Police Department, Los Alamos Fire Department, and New Mexico Department of Transportation to investigate safety issues and threats to vulnerable resources in the affected area. Linville Gorge, also known as the Grand Canyon of the East, is one of the wildest, most rugged gorges in the eastern United States. It's also an outdoor paradise for hikers and backpackers. The entire area lies within the Pisgah National Forest, located roughly 60 miles northeast of Asheville and can be accessed via the Blue Ridge Parkway near milepost 314. The Gorge encompasses more than 12,000 acres around the Linville River, making it the third largest wilderness area in North Carolina, and one of only two wilderness gorges in the southern United States. 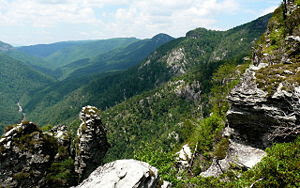 There are 39 miles of trails that weave in and out of Linville Gorge. Most trails start along either of the two gravel forest service roads that traverse the east and west rims, and lead down towards the river. At the bottom of the gorge is the longest trail, the 11.5-mile Linville Gorge Trail, which runs along the west side of the river, and allows backpackers to create several overnight loop hikes. A fairly popular destination 2 hours northeast of Knoxville is Roan Mountain. From Carvers Gap, located on State Route TN-143 and NC-261, many hikers will make the trek out to Grassy Ridge Bald, one of the highest grassy balds in the Appalachian Mountains. 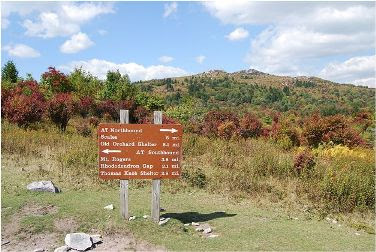 As you proceed north along the Appalachian Trail, hikers will pass over Round Bald and Jane Bald before reaching the summit of 6189-foot Grassy Ridge Bald. The panoramic views from the summit area are absolutely stunning. On a clear day you can see Grandfather, Beech and Sugar Mountains towards the east, and Mt. Mitchell and the Black Mountains towards the south. Spanning roughly 7 miles, and covering an area roughly 1000 acres in size, Grassy Ridge is also the longest stretch of grassy bald in the Appalachian Mountains. If visiting Roan Mountain in early June, be sure to make the drive up to the Rhododendron Gardens to see the largest natural rhododendron garden in the world. Red River Gorge in eastern Kentucky is where my love affair with hiking began (many years ago!). The “Red” is a unique and scenic natural area in the Daniel Boone National Forest known for its abundance of natural stone arches, unusual rock formations, and spectacular sandstone cliffs. With over 100 natural arches within its boundaries, Red River Gorge has the greatest concentration of arches east of the Rocky Mountains. And, as a result of its abundance of cliffs, rock climbers from all over the world have discovered first class climbing in the Gorge as well. 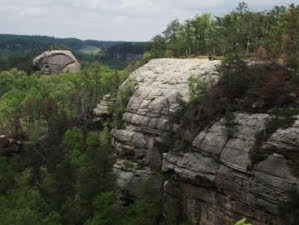 Red River Gorge was designated as a Geological Area by the Forest Service in 1974. With passage of the Kentucky Wilderness Act of 1985, the U.S. Congress designated roughly half of the 26,000-acre Gorge area as the Clifty Wilderness Area. Many trails traverse in and around the natural rock formations, including an 11-mile section of the Sheltowee Trace, a 282-mile multi-use, National Recreation Trail that traverses the length of the Daniel Boone National Forest that passes through Cave Run Lake, Natural Bridge State Park, Laurel River Lake, Cumberland Falls State Resort Park and the Big South Fork National Recreation Area. All 397 national parks will offer free entrance on Saturday, September 29 for National Public Lands Day. The 19th annual event encourages everyone to get outside and enjoy the great outdoors. Visit www.nps.gov for a list of parks and information to help plan your park adventure. Other Federal agencies offering free admittance on September 29 include the U.S. Fish & Wildlife Service, the Bureau of Land Management, the Bureau of Reclamation, the U.S. Army Corp of Engineers, and the U.S. Forest Service. The Friends of the Smokies Classic Hikes of the Smokies series continues next month with a hike along the Caldwell Fork in Cataloochee. 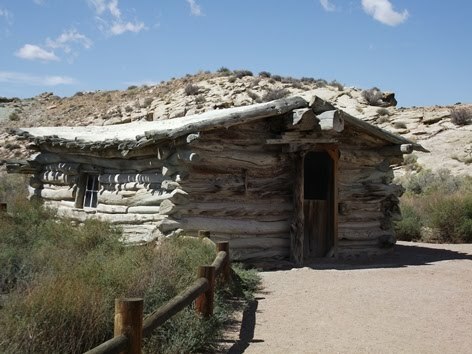 Elk pens, homesites, graves and the Steve Woody House. The quintessential Cataloochee hike. Check out this video of this hiker - actually, he should be called a daredevil - as he walks along the Mt. Huashan Cliffside Path in China - without a harness! Would you do this...even with a harness? A couple of weeks ago I posted some information on the upcoming Plates for the Parkway event, sponsored by the Blue Ridge Parkway Foundation, and benefitting the Blue Ridge Parkway. Christy Bell, Development Director for the Foundation, recently emailed me to let me know that the entire list of participating restaurants are now listed on their website. For a complete list of participating restaurants, visit www.platesfortheparkway.org. So what was it like to travel to the budding Great Smoky Mountains National Park in 1933? Thanks to the National Park Service for publishing hundreds of historical park brochures on their website, we can now look at the very first park brochure ever published for the Smokies, and get an idea of what the park was like in 1933. The brochure includes photographs by George Masa and Jim Thompson, quotes from Horace Kephart, as well as information regarding the Qualla (Cherokee) Indian Reservation, fishing, hiking, wild animals, etc. Listed at that time as having an elevation of only 5860 feet, Andrews Bald has grown another 60 feet somewhere along the way! Though I should point out that they were real close to the correct elevation for Clingsman Dome, listing it as 6642 feet, rather than the 6643 feet that it's measured at today. Interstingly, a that time; “Deer are practically exterminated.” Wow, how times have changed! Apparently there were lodges located in Cades Cove in the early 1930s. Both John Oliver's Lodge and the Ekaneetlee Lodge offered overnight accommodations for just $2.00 a night. A room at the Wonderland Club Hotel in Elkmont could be reserved for $3.50 — $4.00. And the going rates for the Mountain View Hotel in Gatlinburg were $3.50 — $6.00. Only two other hotels were listed for Gatlinburg at that time: the Riverside Hotel and the Indian Gap Hotel. My guess is that visitors didn't have to fight traffic all day long to get through town back then. "When the development of the park is undertaken by the National Park Service, adequate camping places with pure water and other necessities will be provided. Until such time no camping over night or fires of any sort will be permitted except by special permit of the superintendent or his authorized representatives. In such instances the following rules must be carefully observed: Wood for fuel only can be taken from dead or fallen trees. Combustible rubbish shall be burned on camp fires, and all other garbage and refuse of all kinds shall be buried." Oh, and don't expect to gamble, or bring dynamite into the park! This is really an interesting read, especially if you enjoy the history of the park. You can read the entire brochure by clicking here. Sanford Lethco, 29, of Sevier County, who reported that he’d been shot while hiking in the park on September 7th, has confessed to park investigators that the gunshot wounds he suffered were sustained in an incident occurring outside of park boundaries in Sevier County. The county has accordingly taken the lead in the investigation. Lethco sustained and was treated for two gunshot wounds to the lower leg which he originally claimed to have received while hiking in the park, off trail, in the Cosby area. He was flown to the University of Tennessee Medical Center, where he was treated and later released. NPS Digest is reporting that on last Friday afternoon, Cocke County dispatch received a call from a man who said he’d sustained gunshot wounds while hiking deep within the park in the Laurel Springs Road area near Cosby. Emergency medical services arrived on scene to find that the man had two gunshot wounds in his lower leg. He was flown to University of Tennessee Medical Center for treatment and later released. The man claimed to have not seen his assailant, but did hear two gunshots just before he realized he had been struck. Rangers worked with the Cocke County Sherriff’s Office to secure the area along Laurel Springs Road, the closest road to where the shooting incident reportedly occurred. NPS rangers and special agents are investigating the shooting. Saturday, September 29th, is National Public Lands Day and your chance to give back to Great Smoky Mountain National Park. Trail maintainence volunteers will have an opportunity to work on a popular and well-used trail near the Park Headquarters just outside of Gatlinburg. The work day will involve gravel, bridge and drainage feature construction, as well as standard trail maintenance. Please be comfortable hiking at least 2 miles throughout the day. All volunteers will receive an REI "Get Dirty" volunteer shirt as well as the chance to win gear! Please wear close-toed shoes and long pants. Bring a day pack with water, food, rain gear, appropriate layers and anything you need for a day in the woods. All safety gear (gloves, eye and ear protection), tools and equipment will be provided. Volunteers must be 18 years or older. Registration is required. Please contact Christine Hoyer at 828-497-1949 or christine_hoyer@nps.gov to RSVP or for details. As many of you are already aware, I absolutely love hiking the balds in the Southern Appalachians. Gregory, Andrews and Rocky Top are some of my favorite destinations in the Smokies. 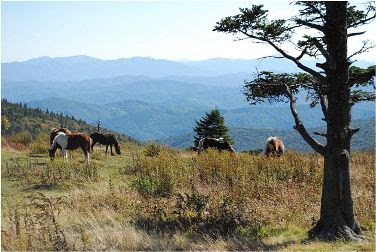 Roan Mountain, Max Patch and the Art Loeb Trail are also notable destinations. However, my absolute favorite hike in the Southern Appalachians is along the Appalachian Trail to the summit of Mt. Rogers in southwestern Virginia. 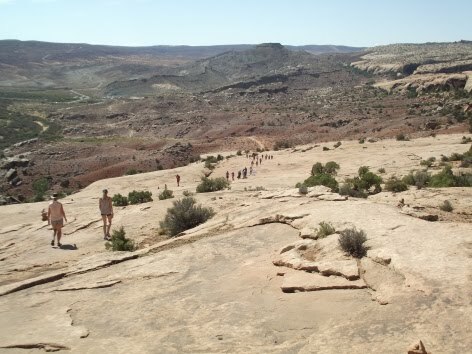 Nearly the entire length of the four-mile (one-way) hike passes through open country, offering sweeping views of the surrounding wilderness as far as the eye can see. With many rocky outcroppings and sweeping panoramic views, at times it feels more like hiking out west rather than the Appalachian Mountains. 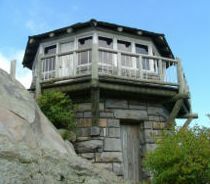 The summit of Mount Rogers also happens to be the highest point in Virginia. While a handful of peaks in the Appalachians are higher, Mount Rogers lays claim to being the highest state highpoint, east of South Dakota, that doesn’t have a road to its summit. My wife and I had the pleasure of hiking to Mt. Rogers on two recent occasions. Both times we started our hike from Massie Gap in Grayson Highlands State Park, which borders the Mount Rogers National Recreation Area in Jefferson National Forest. To reach the summit from Massie Gap (elevation 4650 feet) we took the Rhododendron Trail. At first the trail leads across a field and then follows an old wagon road over a hillside. On both of our hikes it was in this area that we first began to see some of the wild ponies for which this area is famous for. 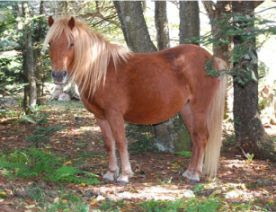 In addition to mechanical clearing with chainsaws, grazing cattle, and use of carefully controlled fires, the US Forest Service uses the ponies to help keep the popular balds open. After about a half-mile we turned onto the Appalachian Trail, which led us up the rugged, rocky outcrops of Wilburn Ridge before passing through Rhododendron Gap. 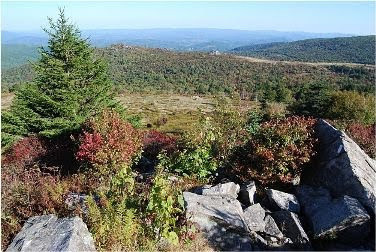 From Rhododendron Gap, it's an easy 1.5-mile hike to the short spur trail to the summit, located just past the Thomas Knob Shelter. This section of trail is just spectacular. The best views and the most beautiful scenery are located along this section of the hike. Upon turning onto the half-mile spur trail that leads to the summit, we finally reached the tree-line. Unlike most mountains, the forest in this area of the highlands still claims the highest elevations. The 5729-foot summit of Mount Rogers is covered by a thick spruce-fir forest, which means that you won’t have any views at the summit, and is the only place on the entire route where you'll walk amongst trees. The first time we visited the Mount Rogers area we stayed in Abingdon, about 32 miles west of the park. For anyone who likes history, this is great place to spend a day or two. I also highly recommend having dinner at The Tavern. Built in 1779, it’s the oldest building in town and has played host to notable guests such as Andrew Jackson and King Louis-Phillipe of France. The following year we stayed in Damascus, which is a little closer to the park. Traversed by the Appalachian Trail, the Virginia Creeper Trail, the Trans-America National Bicycle Trail, the Iron Mountain Trail, and others, Damascus is known appropriately as Trail Town, USA. Additionally, the town holds a big festival each May, known as Trail Days. It attracts over 15,000 people - mostly hikers - in just one weekend. That number is quite remarkable when you consider that there are only about 1000 people that actually live in the town. September 22nd is the final guided hike through Rock Castle Gorge. This will be your final opportunity to join a ranger from the Blue Ridge Parkway as they lead a guided five-mile hike through Rock Castle Gorge and highlight the history of the Rock Castle community that existed in this area from the late 1700s through the 1930s. 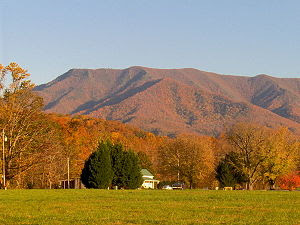 What are the Best Fall Hikes in the Great Smoky Mountains? This year's Mountain Life Festival will be held on September 15th at the Mountain Farm Museum next to the Oconaluftee Visitor Center near Cherokee, NC from 10 am - 4 pm. The U.S. Forest Service announced earlier this week $3.5 million in grants as part of a new program to support jobs and healthy forests in communities across the U.S. The Community Forest and Open Space Conservation Program provides financial assistance grants to local governments, tribes and qualified nonprofit organizations working to establish community forests with a focus on economic and environmental benefits, education, forest stewardship and recreation opportunities. The federal grants will be matched with an additional $8.5 million in funding from other partners on the projects, and represent a strategic investment in local communities, a key component of the President’s America’s Great Outdoors Initiative. All projects must ensure public access to the protected lands, and the communities must be involved in the process of developing a forest plan and determining long-term goals for the forests. The Eastern Band of the Cherokee Indians will conserve this highly significant 108-acre Hall Mountain tract, approximately six miles north of Franklin, N.C. The tribe plans to incorporate a scenic hiking trail system that will exhibit uses of natural resources traditionally used by the Cherokee. These exhibits will serve as educational learning centers for regional public schools and organizations like Boy and Girl Scouts. To see the rest of the grants announced from around the country, please click here. The Big South Fork National River and Recreation Area and the Obed Wild and Scenic River have arranged for a visitor use survey to be done in each park during September. The surveys will provide information that will help determine where park visitors are coming from, what people like to do when they come to a park, what are visitors' opinions about park facilities and interpretive programs, and what park features and qualities are most important to visitors. The surveys are entirely voluntary and anonymous and will be distributed to a random sample of visitors during a seven day period. The questionnaires are already stamped and addressed, and visitors can fill out the questionnaires at their leisure and mail them to the University of Idaho for processing. A report of the findings will be compiled and made available on the parks' webpages (www.nps.gov/biso and www.nps.gov/obed). The visitor use survey at Big South Fork will be conducted September 4 through September 10, and the survey at the Obed will be conducted from September 11 through September 17. Please call either the Big South Fork at (423) 569-9778 or the Obed at (423) 346-6294 if you have any questions. 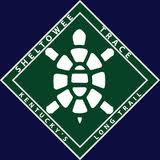 As part of the Adopt a Trail program, a couple of family-oriented work days have been offered this summer, and help to make improvements to the nature trails in the Smokies. The workdays were designed with kids in mind. The definition of family is broad - it could be a parent with children, two or more siblings, or any other combination of people who are members of a "family". The final workday will be held on Saturday, September 8th on the Pine Oak Nature Trail, on the Tennessee side of the park. This workday is being supported through a National Park Foundation grant and will include free t-shirts and water bottles for all those who participate!! The event lasts from 10:00 AM to 1:00 PM. To RSVP to participate or for specific details, contact Christine Hoyer at 828-497-1949.